Bhairahawa is the nearest Airport to "LUMBINI" Which 280 KM west from Kathmandu. It takes 35 to 40 minutes by flight for one way. It is about 22 KM and 45 minutes drive to Lumbini from Bhairahawa airport. There are several daily flights between Kathmandu - Bhairahawa and Bhairahawa - Kathmandu with different airlines such as Buddha Air, Yeti Airlines, Agni Air. Bhairahawa Airport lies at an elevation of 109m. Bhairawaha lies near indian border only 04 km away from Sunauli and Gorakpur so it is very famous for shopping and it is growing as trade centre. Temperature of Bhairawaha is very hot in summer 35° to 38° Celsius and too cold in winter 10° to 27° Celsius. we offfer kathmandu Bhairahawa flight ticket at cheap price. Yeti airlines, Buddha air and Simrik airlines operate flight daily to Bhairahawa. Many tourist visit this place to gain spiritual and cultural gratification. Kathmandu Bhairahawa flight gives you quick acces of Lumbini the birth place of Lord Buddha. 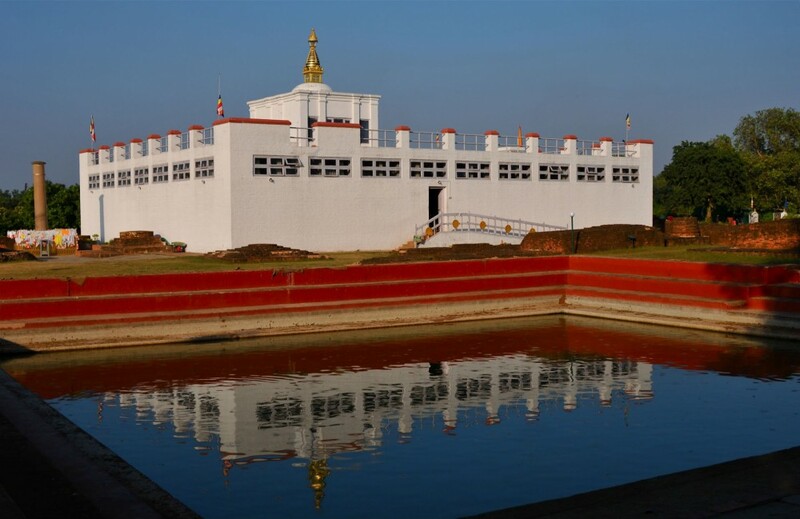 Lumbini the World heriatge site attract tourist from all over the world and for the best and fast alternatives we have also been operating one day Lumbini Day tour with First Flight from kathmandu to Bhairahawa and last flight from Bhairahawa to Kathmandu. Book Lumbini flight ticket with confidence and get the lowest fare, selecting appropariate flight and receive instant e-ticket by e-mail.We will book your ticket right now! Only 20 Kg of free baggage per person is allowed in a flight from Kathmandu to Bhairahawa.